Some terms used currently with certain familiarity give us the false impression of having been coined in the light of the latest technology and inextricably linked to the Internet. Preprints repository is one such example. It seems impossible to devise a way of storing preliminary versions of scientific articles in a non-virtual space, let alone sharing them with as many stakeholders as possible otherwise than electronically. For that is exactly what happened in the unlikely year of 1961, when the National Institutes of Health (NIH) began circulating – by the postal service – biology preprints to a list of subscribers in an experiment called the Information Exchange Groups (IEGs), as reported by Matthew Cobb as an essay published in PLoS Biology1. The experiment, however, had a short duration, unfortunately. 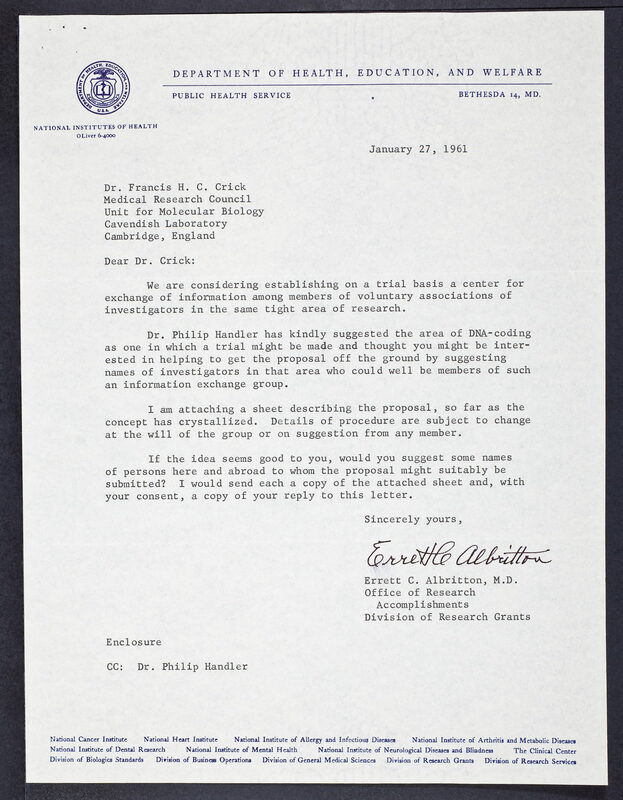 In 1967, after circulating more than 2,500 different documents to over 3,600 subscribers, the program was closed due to an efficient lobbying of scientific societies, publishers and journal publishers who, fearing the threat to their financial interests and the competition to its “exclusive” role of disseminating science, orchestrated an efficient defamation campaign of the preprints. 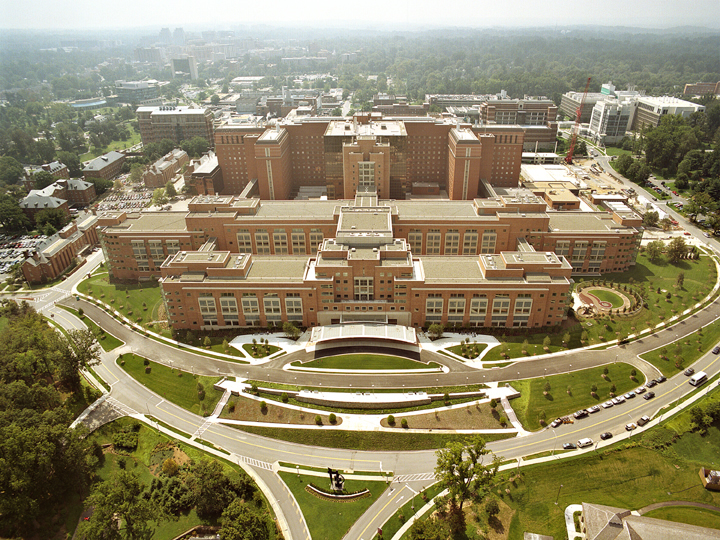 Errett C. Albritton, an administrator at the NIH, and two biochemists, David Green of the University of Wisconsin-Madison and Philip Handler of Duke University, designed the concept of IEGs, later described by Albritton as an “experiment” or a “natural history study” that would “enable researchers working on a tightly focused research area to send ‘any communication whatever’ (preprint, comment, discussion, etc.) to the NIH, where the memo would be physically reproduced and then circulated by the postal service for all the members of the network”. Anyone interested, with a level above graduate student, could join the service by becoming a subscriber. Preprints should not, however, be cited without authorization, but were considered evidence of priority in the discovery, since they aimed to accelerate communication between scientists, overcoming the slowness imposed by traditional methods of scientific communication. Albritton summed up the concept of IEGs in a slogan, which was included on the cover of each shared document: it was a “continuing international congress by mail”. The reach of the IEGs was extraordinary, considering the methodological limitations at the time: at the end of 1965, 3,663 researchers from 46 different countries were involved and 2,561 different documents had been physically shared, implying in millions of pages sent by mail. In all, seven IEGs were created: IEG1, led by David Green, focused on oxidative phosphorylation and electron transport; IEG2, homeostasis; IEG3, Computer Simulation of Biological Systems; IEG4, Molecular Bases of Muscle Contraction; IEG5, Immunopathology; and IEG6, Interferon. IEG7, focusing on Nucleic Acids and the Genetic Code was launched in 1966 by James Watson and Marshall Nirenberg. More than 1,100 scientists immediately subscribed to this IEG, and Francis Crick’s2 initial hostility3 to the IEG project had, then, greatly diminished. It is interesting to note that 80% of the IEGs that circulated between 1961 and 1967 were articles, and about a third of these were shared after being accepted in a journal, but before being published. The others were submitted as IEGs before the peer evaluation and constitute what are presently considered preprints. There were also technical notes and debates occasionally. About a third of the IEG members were from other countries, in addition to the US, mainly UK, Japan and Australia, and more than 90% of the documents were in English. David Greene believed that the system made it possible for researchers outside the US to have access to recent developments at the frontiers of science, which he considered an important role of the IEGs. The 1960s saw the development of for-profit subscription journals as the predominant business model in academic publishing, primarily through Pergamon Press. In spite of the successful and profitable business of academic journals, the scientific community often debated the slowness of the publishing process and the need for informal and automated means of communication. Following the example of the Stanford Linear Accelerator Center (SLAC), whose librarians for several years had stored high-energy physics preprints from authors around the world, librarians from the European Organization for Nuclear Research (CERN) were doing the same. Something similar was taking place at the Brookhaven National Laboratory and in 1965, Charles Gottschalk of the US Atomic Energy Commission proposed the creation of the so-called Physics Information Exchange (PIE). PIE, according to theoretical physicist Michael Moravcsik, was not completely analogous to IEG, but close enough so that “some comfort can be gathered from the success IEG has encountered among biologists”. The PIEs, however, had one crucial difference – a single copy of each preprint would be sent to each participating library rather than to each individual member. The growing circulation of preprints in various areas of science has led some publishers – both commercial and learned societies – to fear for their business and prestige in the academic community. One of the first initiatives against preprints came from the American Association of Immunologists (AAI) in April 1966. Feeling threatened by the growth of IEG5 (Immunopathology), which had gathered more than 600 members and produced more than 300 preprints in just over a year, AAI concluded that the circulation of preprints by the NIH was “an improper activity for a government agency, and that preprints were, in fact, complete publications that represented a ‘real danger’ to immunology journals and could, ultimately, overcome them.” Thus, by majority vote, AAI members voted to discontinue IEG5. The journal Nature, not at its best moment, initially attacked the PIEs viciously, judging them “offensive” and recommending its extinction. Next, the IEGs were targeted by Nature, which saw in the growth of IEGs in several areas of knowledge a competitor. The journal rated the IEGs as “suspicious” activity and a waste of resources, as well as “inaccessible, impermanent, illiterate, of uneven quality and lacking considered judgment”. The basis of Nature’s criticism lay in the self-attribute that journals were the guardians of scientific quality and held the priority of their disclosure. The journal has gone so far as to suggest that a fraction of the NIH money spent on distributing preprints should be channeled to make (for-profit) journals more efficient. 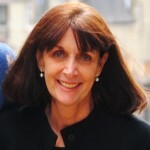 Science editor Philip H. Abelson has had a similar aggressive reaction suggesting that the IEGs would be “government shoddy merchandise” and attributed the authors predilection for IEGs not to the efficiency of dissemination but to “avoid discipline essential to the integrity of science”. The fate of IEGs was finally sealed by a group of editors from 13 influential biochemistry journals at a meeting in Vienna in September 1966, including the editors of the Journal of Biological Chemistry and the Journal of Molecular Biology. Like the AAI, the editors decided, without consulting their respective editorial committees or the scientific societies they represented, that no article that had circulated in the form of IEG would be accepted for publication in their journals. This decision affected the two IEGs with the largest number of participants: immunology and molecular biology, including about 2,000 researchers. The decision was conveyed in an editorial in Nature in which it was mentioned that the preprints had, thus, become “illegal”. In November 1966, the head of the NIH Research Assistance Division, Eugene Confrey, announced the closure of IEGs in March of the following year. Without financial support from the NIH, the IEGs would not be viable and Albritton acknowledged its end. In one estimate, the project costed the NIH about US$ 400,000 per year, or US$ 3 million in current figures, considering photocopying and distribution through the postal service. It is interesting to note that after the closure of the program, Science, Nature and other journals received numerous letters against and in favor of IEGs. However, what emerged in concrete of the numerous discussions was the decision of the New England Journal of Medicine and other journals to reserve themselves the right not to publish material that has previously appeared on any kind of website, what would become known as the Ingelfinger Rule. It persisted for some time after the extinction of the IEGs, however, the discussion about the slowness of traditional academic publication. PIEs lasted for about a year, distributing preprints and discussion papers to a list of participants, but in the end they were also finished. The editor of The Physical Review, Simon Pasternack, was vehemently opposed to the idea that PIEs would be faster to disseminate research than periodicals and stated that the former would “dilute orderly communication and add confusion” and, furthermore, “threatened physics research communication with obscurity, incompleteness, polemics, inadequate reference, discursiveness, and irresponsibility”. The editor of Physical Review Letters went further, emphasizing the value of peer review and arguing against citing preprints. Despite their short duration, participants’ perceptions of IEGs were extremely positive. Many researchers at the time criticized Nature’s position and stated that the reading and writing preprints was “extremely valuable and very enjoyable”, and that it had been instrumental in making decisions about research in progress, saving time and resources. However, despite the rapid spread, there is no evidence that the IEG has increased the debate, one of Albritton’s main goals. Despite this, his colleagues at NIH continued to stress the importance of preprints. According to Green, leader of the IEG1, what really caused the program’s extinction were not the problems posed by the editors’ meeting in Vienna, that is, duplication, copyright infringement and lack of peer review. He believed that the editors were really “apprehensive that the status and prestige of journals would be threatened if another entity (IEG) were distributed to its members between six months to one year before the journals, the same articles that would eventually appear in the journals, but not necessarily in the same final format”. Nature sought to appease its tone when, in February 1967, shortly before the closure of the circulation of IEGs, proposed renaming preprints as “impersonal communication” or “postal circular”, and reiterated the offense that the IEGs would have made to the journals for supposedly duplicate publications. In addition, the journal ensured its readers that the publication speed of preprints would soon be found in the journal, that is, in a matter of weeks. We all know that this promise did not materialize, either in 1967 or any other year. As mentioned, the debate on how to accelerate the dissemination of research results persisted after the extinction of preprints in the early 1970s. The solution came from physics, lessons learned from PIE and IEGs, when the SLAC library and the Lawrence Laboratory of Radiation in Berkeley launched the Preprints in Particles and Fields Service in 1969. In one year 1,600 participants gathered, eager to share the preprints. In the following years, information and communication technologies allowed for more efficient and economically effective ways of circulating information. In 1991, Paul Ginsparg of the Los Alamos National Laboratory created an automated e-mail preprints server, a system that was named arXiv. In subsequent years, with the development of the World Wide Web, global communication and scientific publishing have been drastically transformed. The arXiv repository incorporated other areas, as mathematics and astronomy and received funding from the National Science Foundation (NSF). This time, publishers and researchers were able to conclude that the system was not a threat to the journals or to the integrity of science, but a peaceful and even constructive coexistence was possible. In 1999, a failed attempt at an electronic biology preprints repository was led by Harold Varmus, then director of the NIH, and e-Biomed would have been created based on arXiv, with the support of researchers on the field, but again, journal editors organized an offensive against the project. The arguments were not very different from those that overturned the IEGs: the lack of peer review and the “organized dissemination of clinical studies”. Faced with the unsuccessful project, Varmus devoted its efforts to providing open access to articles through PubMed Central. This initiative had a great impact on the Open Access movement in general and the launch of the PLoS journals group. Finally, 50 years after the IEGs, in 2013, the preprints repositories PeerJ and bioRxiv4were launched. In 2016, preprints repositories emerged in the areas of psychology, social sciences, engineering and chemistry, others in different disciplines are likely being considered. In 2018, the launch of SciELO Preprints5 is anticipated, whose main objective is to contribute to accelerate the availability of research results and to establish an organized flow of potentially acceptable preprints in indexed journals that communicate the research on countries of the SciELO Network. The expansion of preprints servers in different areas of knowledge shows that the scientific community and publishers have realized that coexistence between preprints and formal journal articles is possible. The debate in the context of preprints promotes improvement of the scientific report and may facilitate the production process of manuscripts. However, it is not possible to ignore the importance of the rapid dissemination of research results in many situations. It is interesting to note, however, Matthew Cobb’s recognition of the work of the reviewers on his paper describing the creation of IEGs: “This manuscript was first published as a preprint on PeerJ.com. […] Comparing the pre-print version with the published version reveals the virtues of the peer review”1. 2. Francis Crick, James Watson and Maurice Wilkins were awarded the Nobel Prize in Medicine or Physiology in 1962 for discovering the molecular structure of DNA and its significance in the transmission of genetic information.